In addition to having an exceptional selection of new vehicles, Team Ford has a wide range of used and certified pre-owned vehicles perfect for not only residents of Edmonton, but also our neighbouring communities like Sherwood Park and Strathcona County. We have an extensive inventory of many different makes and models, all priced fairly and to move. If you’re looking for a Ford vehicle close to Sherwood Park or Strathcona County, we are the dealership for you! Team Ford is the closest Go Auto Ford dealership near Sherwood Park. If you haven’t dealt with a Go Auto dealership before, you are in for a treat. As a part of the Go Auto group, comprised of over 40 dealerships, Team Ford is positioned to provide deals that other dealerships just can’t match. Not to mention the free Go Card (which can save you 10% off all parts and service) earns you further rebates off of parts and service purchases that you can redeem on future purchases, as well as a $500 referral fee when your friends and family purchase a vehicle from any Go Auto dealership. Not only does Go Auto and Team Ford want to give back to our loyal customers, but we give back to the community as well. That is why we are proud to be a part of Go Gives Back, an initiative aimed at supporting our communities.  Again, Team Ford is the only Go Auto Ford dealership near Sherwood Park, so why not take that short 20 minute drive and experience all the benefits of buying from Go Auto Ford dealership Team Ford? If you purchase your used or certified pre-owned vehicle from Team Ford, you’ll be able to wisely spend those Go Card dollars toward parts and service at Team Ford. And, as the only Ford dealership in the Sherwood Park area offering appointment-free Quick Lane service, there is no better location to have your vehicle serviced –and quickly– than Team Ford. Should your vehicle require more work than our Quick Lane offers, then we do offer appointments at our state-of-the-art service department staffed by certified technicians capable of working on all makes and models. In this instance, Team Ford is proud to offer free service loaner vehicles any time your vehicle is in the shop. Team Ford is the premier destination for used and certified pre-owned vehicles near Sherwood Park. Our prices and inventory can’t be beat, and the benefits of buying and servicing with a Go Card at our dealership are too high to count. If you live in Sherwood Park and are looking for a used vehicle, Team Ford has you covered. Check out our used and certified pre-owned inventory, or take that short drive and stop by our dealership today, and learn why Team Ford is the top choice for used vehicles near Sherwood Park.